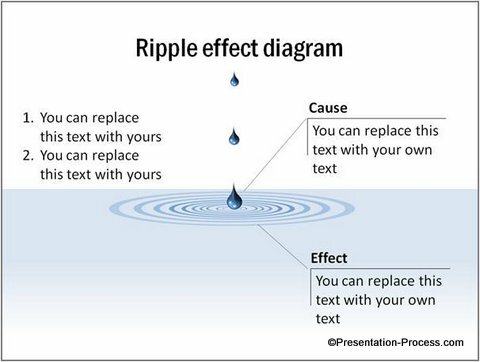 Create a handy ripple diagram using PowerPoint. Follow our simple step by step instruction to draw this useful diagram. This tutorial has been updated with step by step video on how to create the effect in latest versions of PowerPoint. 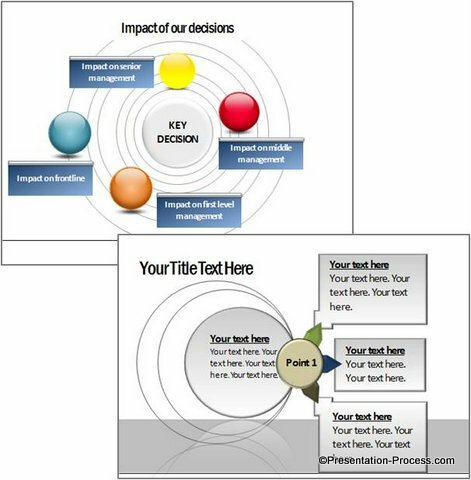 This simple and stunning diagram has the power to grab and hold your audience attention, while helping you convey your message effectively. 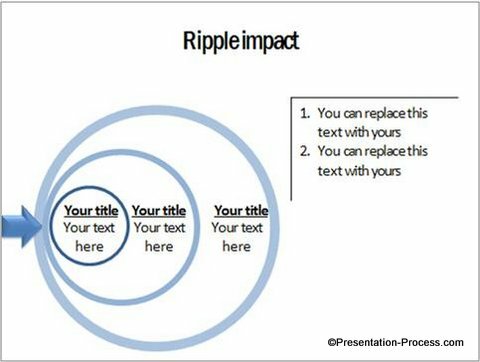 Where to use the ripple or impact diagram? 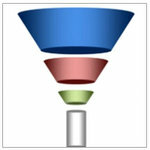 You can use the diagram to represent multiple levels of impact triggered by an action. For example, you can useit to talk about the different levels of impact on environment caused by hazardous emissions of a factory. 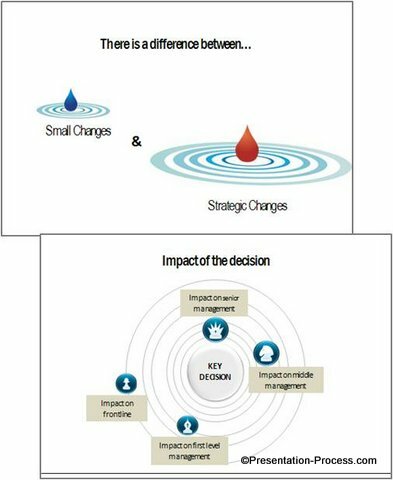 Or you can talk about how different layers of management are affected by a decision taken at the centre. 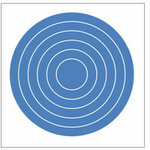 Draw a perfect circle holding the ‘Shift’ tab. Use the yellow diamond handle in the inner rim to adjust the width of the band. Remove the outline. Make a copy of the circle. 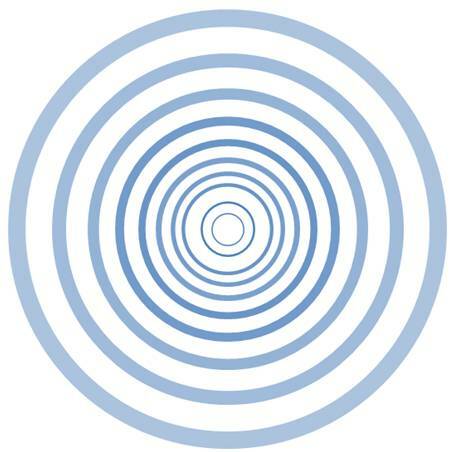 Right click on the circle -> Size and Position -> Check the ‘lock aspect ratio’ option and scale the size of the new circle to 80% of the original circle. 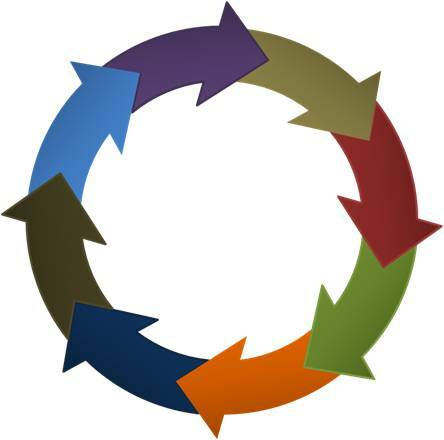 Make a copy of this new circle and continue the process. Once you have sufficient number of circles of different sizes, select all and use Arrange -> Align -> Align centre and Align middle options. Group all the circles together using ‘Ctrl+G’ option. The next step is to Right click on the group -> Format shape -> 3D rotation ->Presets – >Parallel -> Off Axis 1 Top. 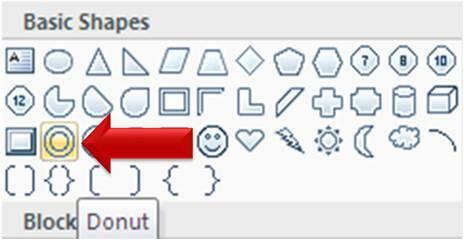 Go to Auto shapes menu and select the ‘tear drop’ tool from the Basic shapes menu. Drag the yellow diamond handle to form the shape of a drop and let the pointed tip face up. 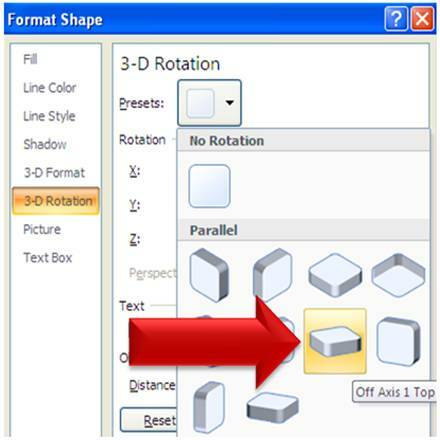 Right click on the shape -> Format shape -> 3D format -> Bevel -> Top, Bottom -> Circle. Enter the Width and Height value as 40 each. Remove the outline. You can adjust the material and lighting setting till you are happy with the result. Once done, ‘cut’ the shape and ‘paste special’ it back as PNG image. 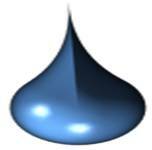 This will help you to scale the image without losing the bevel effect. 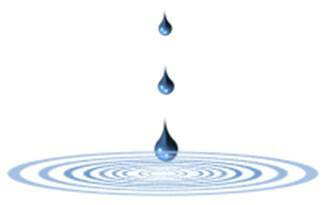 Note: We used a water background like this for bridge diagram as well. Put all the elements together; add relevant callouts and your diagram is ready! 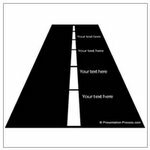 You can also read a number of other advanced tutorials in our website. There is a wide collection that you may never see anywhere else.